At any rate, this is home to me, and I am proud to call Goldsboro that. I’m not going to lie; we’re small-town in many ways, but we’re growing. Geographically? We’re in a really good place. The state capital, Raleigh, is less than an hour away with its shopping, diverse dining, and professional hockey team (go, Canes!). There are a few universities within an easy drive from here, as well. Perhaps you’ve heard of them? University of North Carolina, Chapel Hill; North Carolina State University; and Duke University. Oh, and let’s not forget East Carolina University in Greenville! We are also a short 90 minute drive from the Crystal Coast, which is where I like spending time when I need to get my ocean fix. I’ve seen our town grow in so many ways in the years that I’ve lived here, and it’s really a neat place to be. 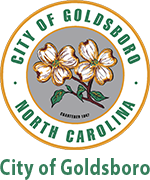 A brief history can be found here, at the City of Goldsboro website. Ok, so with that out of the way, welcome to Goldsboro,y’all! In my last post, I described my first American Idol viewing party, and promised some pictures and a few details. This mini-series, if you will, has taken an unexpected turn because unexpected turns are kind of what my brain does. I did, in my last post, mention the pictures on my phone, which I promised to share with you. Except that I still haven’t quite gotten used to the intricacies of using the camera on my new (okay, it was December, but it’s still new to me) phone as opposed to the one on my old iPhone 4. Not the best images I’ve ever taken with a cell phone. Sorry. 😦 Next time? You can cool believe I’m bringing the big guns! I met up with Lesley at the Family YMCA at 7:15. The weather was kind of bad. Not snowpocalypse-bad, but cold, windy and rainy, nonetheless, and I was just happy to have made it in one piece. (Never volunteer to ride with me at night in the rain…Just sayin’.) We headed upstairs to the multi-purpose room. The entryway was filled with food. I so wish I’d taken a picture of it, because it’s almost hard to describe the number of stacked pizza boxes, trays of wings, veggie trays, chips, dips, sodas, bottled water, etc, all from local vendors. Of course, I’d eaten before I arrived, and you know I’m calorie conscious, soooo…Lesley and I grabbed a bottle of water and headed in to find seats. I ran into an old friend of mine who is a videographer that I hadn’t seen in a while, and aside from him? Lesley was the only other person in the room that I knew…but you’d never know it. We saw that Mayor Al King was in the room, and I asked Lesley if she thought he would mind if I asked to have a picture taken with him. She told me to go for it, so I mustered up a little courage (because in new situations I am the wallflower…no, really, I’m THAT shy! ), approached him and asked if he minded if Lesley took a picture of the two of us because I’m doing a blog. Mayor King was just as nice as the day is long! He gladly let Lesley take our picture, and while we were all talking about how proud Goldsboro is of Majesty, I stepped back and shot one of Mayor King and Lesley. Now, I’ve photographed my fair share of community events, but I’d always attended them as a photographer and not a participant, so this was a little different terrain for me. I learned some things about my community last night. For example, I had no idea that the Goldsboro Family YMCA has a drum line. Oh, and they’re good, too, just so we’re clear. I shot some video of a portion of their performance last night, but I’m still in the process of learning how to get phone videos over to my youtube account, so bear with me. For someone who used to be a web server administrator (and yes, that WAS back in the early 2000’s, thank you), I’m having a hard time with all this new-fangled stuff, LOL. I also learned that when there is a common interest, people will gather together and raise great gobs of really good energy for that interest. It didn’t matter that we didn’t know each other. It didn’t matter that we came from different backgrounds, socio-economic places, education levels; what mattered was that we were there as a community. I think if we could have bottled the sense of community that we experienced out there last night? We could pretty much kill off the national debt if we could sell it to the rest of the world. Below you will find a collection of images shot last night and at the National Day of Prayer downtown last May. If someone would please shoot me a note at julie@wall2wallphotos.com to give me the names of Majesty’s friends in these pictures, I would greatly appreciate it! When I got to work this morning I was sharing my experiences last night with the girls, and I am so hoping they’ll be able to join us next week. There is nothing better than a community pulling together to make something like this simply feel like a neighborhood. This entry was posted in Current Events, Of Interest and tagged American Idol, City of Goldsboro, Community Unity, Goldsboro, Goldsboro North Carolina, Hometown Proud, Majesty Rose, Mayor Al King, Wayne County NC. Bookmark the permalink.